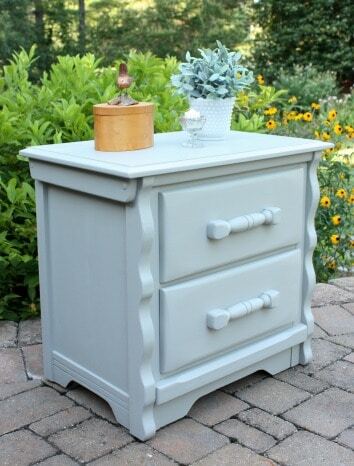 A nightstand that I bought while on vacation at the beach got a makeover. My favorite part is the lined drawers. 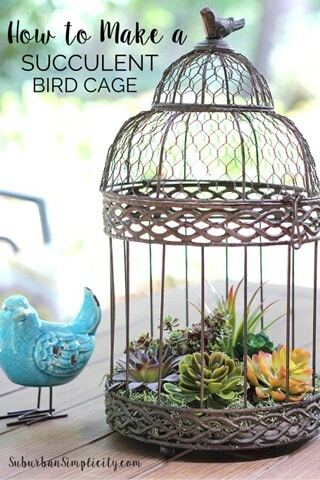 This is now at home in a teen girl’s bedroom. 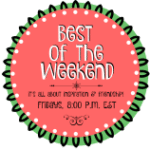 My DIY Furniture Girls group got together for another Themed Furniture Makeover Day. 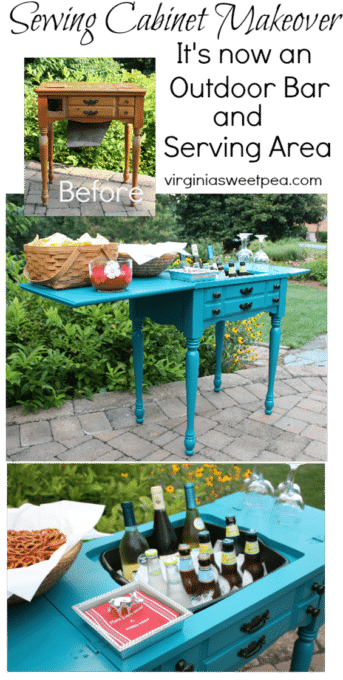 This month the theme was outdoors and I created an outdoor bar and serving area from a very ratty found-on-the-curb sewing table. We are going to start using this piece at the lake this weekend. 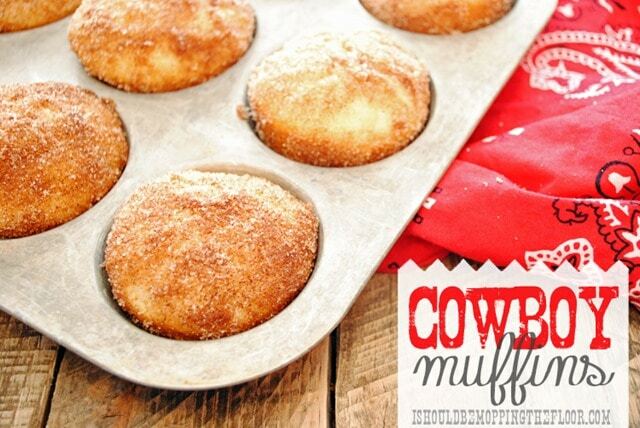 Last week’s most clicked project was Cowboy Muffins from I Should Be Mopping the Floor. 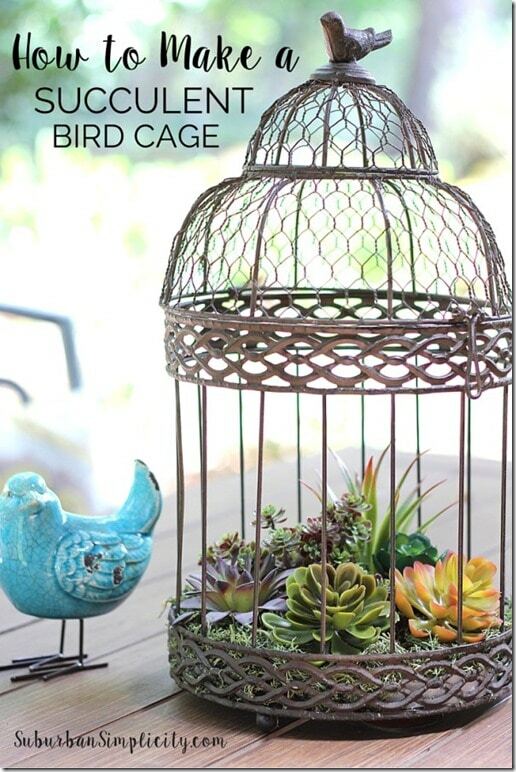 Suburban Simplicity Beautiful Ways to Decorate with Succulents including How to Make a Succulent Birdcage. 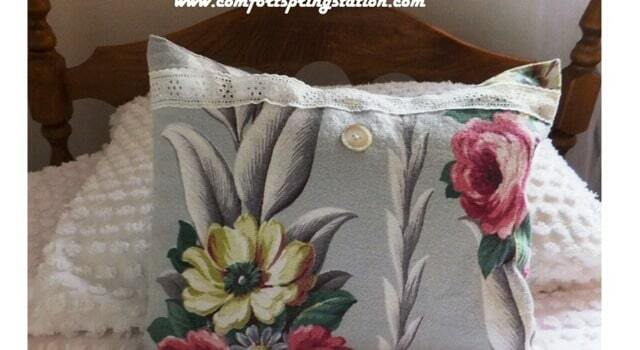 Comfort Spring shared her DIY Vintage Barkcloth Pillow. Mary from The Boondocks Blog shared a guest post on her blog, a Curbside Coffee Table Makeover, completed by Keri from Repurposing Junkie. 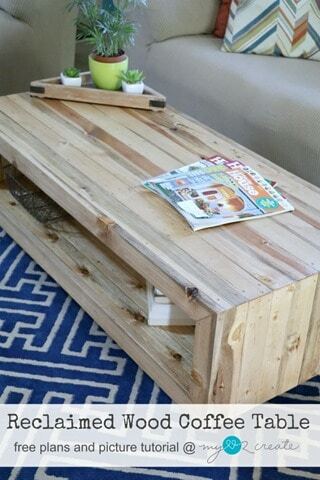 My Love to Create shared a Reclaimed Wood Coffee Table that she made. 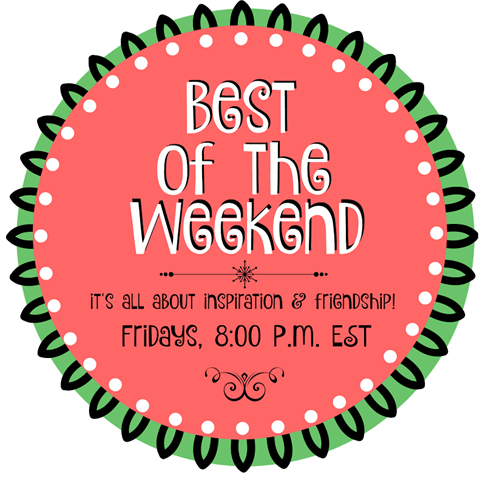 I can’t wait to see what is shared this week! 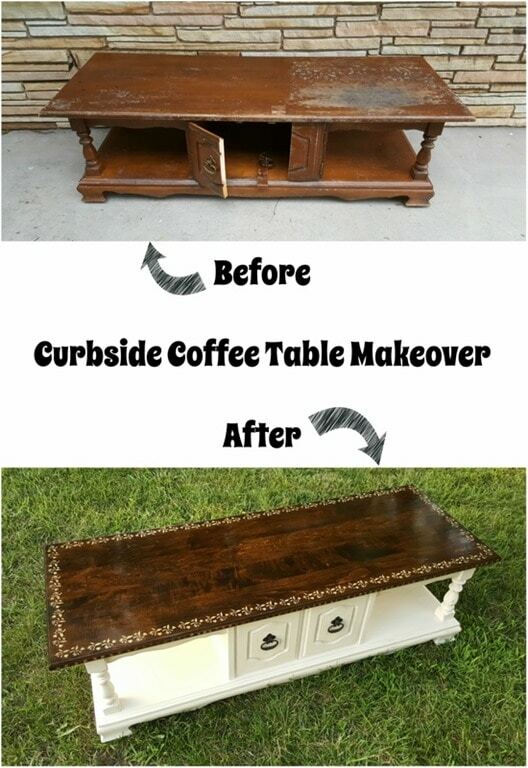 Paula thank you so much for featuring Keri’s curbside table makeover. She will be thrilled. Have a wonderful weekend.